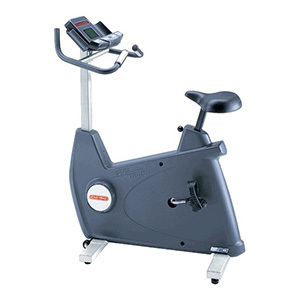 This model offers Star Trac®`s sleek design and styling, coupled with the smooth feel of the belt drive system. The contoured seat design, offers comfort, and easy leg movement making it as renowned for its comfort, as it is for its reliablility. 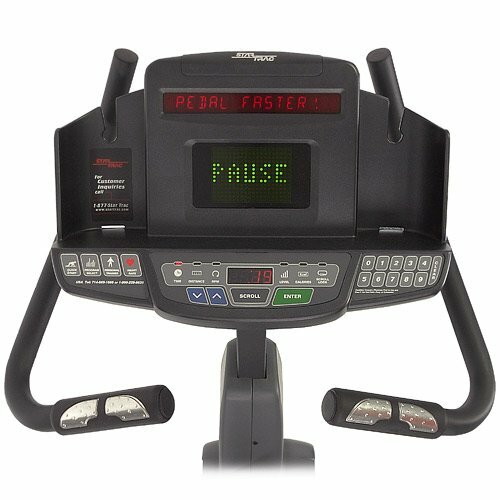 With its great graphical display, this bike allows you to choose from a variety of programs, while enabling you to scroll through different performance readouts. As the bike is self-powered, there are no messy cords to deal with, and the bikes own front wheels enable it to be moved quite easily. The flywheel is heavy, providing a solid, smooth and natural ride.